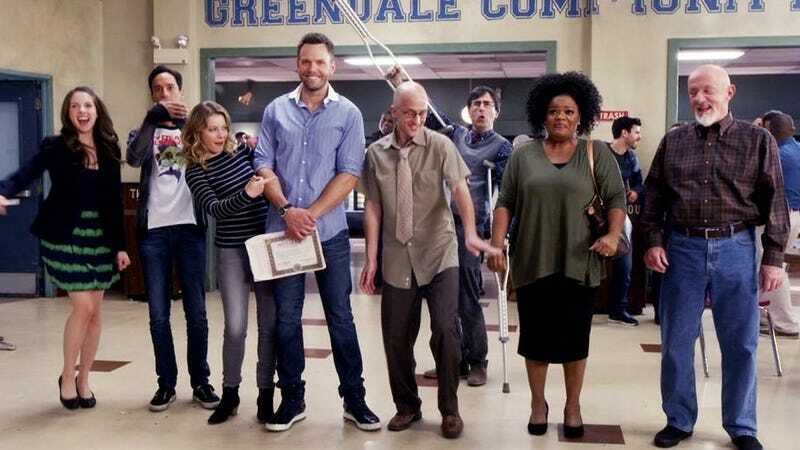 NBC has officially ended their on-again, off-again relationship with Community, a show with a cult and a tumultuous history, after five seasons. Community, Season 5 is officially happening! As it is every year around this time, the last few days have been rough, as new show pick-ups and old show rejects have slowly rolled out. Shows with Strong Female Leads that have been cancelled include Trophy Wife, Suburgatory and The Carrie Diaries. On a more positive note: say goodbye to Mixology and Dads by by calling a woman a whore and/or making a racist joke. At least these little heartbreaks remind us of a couple of life's consistencies: There's no accounting for the decisions of network executives and there's no such thing as true television justice.